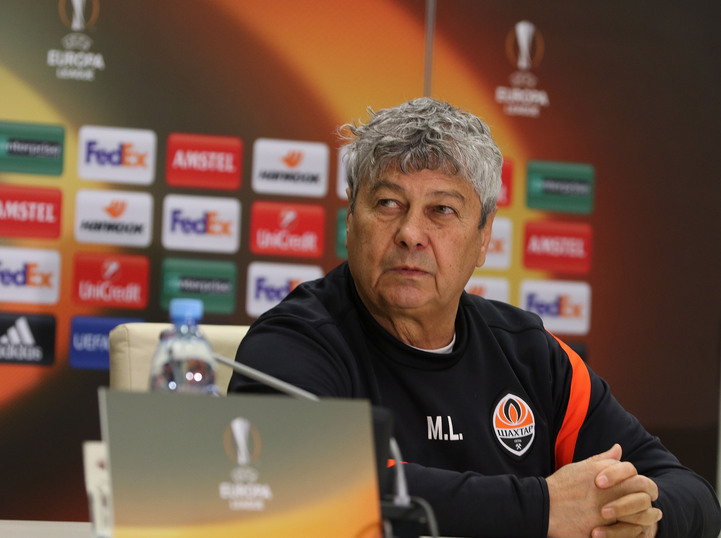 Press conference of Shakhtar’s head coach before the match against Anderlecht. - Mister, you have an old score to settle with Anderlecht. You have faced this team 26 years ago, when you were in charge of Dinamo Bucharest. Back then you lost in the semi-final of the Cup Winners' Cup. If we compare the great Anderlecht side of the 1980-1990-ies and the current team, who is stronger? - It is difficult to compare these two teams. It was hard to play with Anderlecht back then. It was time of revolution, and the conditions were very difficult, there wasn’t even police. Back then seven Dutch footballers played for them, and their coach was Dutchman. Above all, the referee was Dutchman too. There were few chances to eliminate them. Although, we had opportunities. Now, as before, there are many foreign players at Anderlecht. Good results in the Europa League alternate with not very good ones. No stability, as it was before, when Anderlecht were constant champions of Belgium. In general, they are a well-organised team, which feature strong players. There are also skilful, very fast players in the attacking line. At the same time, they deploy the same style of play that many teams in the Belgian championship do, they maintain very high pace throughout the match. The team, who are not easy to play with. They fight for every ball on the football field, employing active pressing, making quick transitions to defence from attack, but at the same time they make technical errors. We are expecting a difficult match. Anderlecht have not played very well in the final round with Mouscron just like we did, by the way, with Vorskla. But we won and they lost 1:2. I hope we have a better mood than the opponents. - Will matches with Anderlecht remind you anything about games with Schalke? How to explain such a good and confident game from Andriy Pyatov after the resumption of the season? - Every match has its own story! So tomorrow will be a game with a new story. As for Pyatov. I'd like to see him not tested too much tomorrow. It is important not to concede a goal at home. As for our game, it is another issue. - Mister, have you already decided on the forward position in the match against Anderlecht? Will it be Ferreyra or Gladkyy? Perhaps you will give a chance to Eduardo? - I will take this decision tomorrow. Today, I cannot answer your question. - What is Gladkyy’s condition after picking up an injury? - It is clear that no football player likes to be on the subs’ bench. The return to the autumn level, when he was a first team regular, depends on him. - Tomorrow, Stepanenko, the first-team holding midfielder, will miss the game. How difficult is it to replace him? Will the structure of the game change because of his absence? - He is a very experienced player. Of course, we would need a player in the middle to deal with the players of Anderlecht. But I believe in the players, who will replace him, and that they show a good game tomorrow. Anderlecht play much better in the Europa League than in the domestic league. Illustrative examples are matches with Olympiakos, Monaco and Tottenham. - Taison had a very good first match. Has he become the leader after Teixeira’s departure? - Today we can say that he is the leader of the attacking line. With every game, Taison becomes more confident. Most likely, he is now replacing Teixeira. And, again, he is doing it quite confidently.